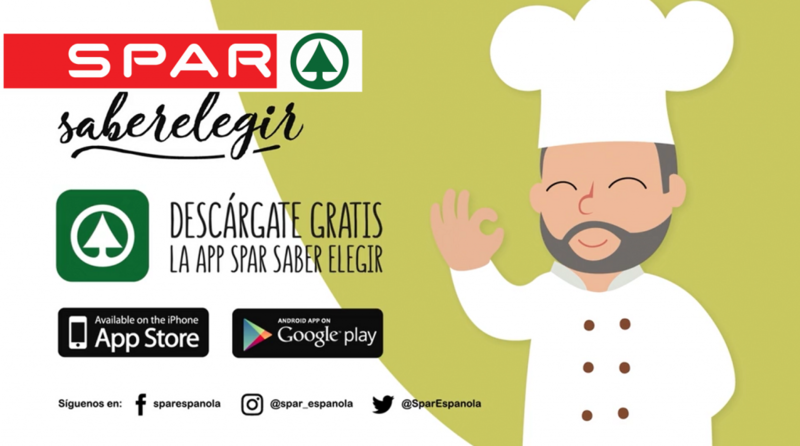 As part of its commitment to promoting healthy eating, SPAR Spain has launched a new nutrition app, ‘SPAR, saber elegir’ (SPAR, know what to choose). By simply scanning the barcode on a product, customers can view its nutritional information – helping them make more informed decisions about the foods they eat. The new SPAR Nutrition App is free-of-charge and with just one click, customers can find out if a product contains any ingredients they might be allergic or sensitive to such as gluten, lactose, egg or peanuts. Customers are receiving communication about the App through instore communications, direct mailings and social media campaigns, all pointing shoppers to a video explaining the functionality. SPAR Spain is also running a lucky draw competition with five food processors up for grabs. Apart from information about the products themselves, the location of more than 1,000 SPAR stores where the products can be purchased is also supplied on the app.